According to the New York Times today, it is confirmed that Raf Simons, 44, will take over immediately as artistic director at Christian Dior. Supposedly, the Paris fashion house will announce the news on Wednesday officially. 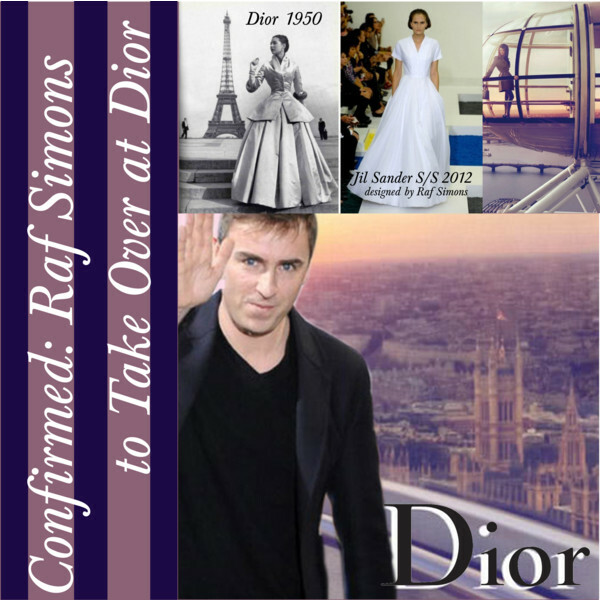 Simons will be replacing John Galliano, who was fired from Dior last year after he made anti-Semitic remarks. His first collection is planned for July at the fall haute couture shows. The Belgian designer, who worked for the house of Jil Sander before, will be in charge of haute couture, women’s ready-to-wear and accessories, while keeping his eponymous men’s line. So my guess in February was right… click here for the previous post.